Proficient in both vocal music, accompaniment in Tabla and Harmonium or keyboard, he is privileged to have performed with musical greats – Pt. Birju Maharaj ji, Smt. Shaswati Sen, Late O. P. Nayyer (Legendry music director) and the Late Ustad Nusrat Fateh Ali Khan Saheb. He has been awarded All India Swarsadhana Award, in 1994 and 1996. He has been awarded the Government of India scholarship (Ministry of Culture) for talented musician for year 2003-2004. Based in Sydney now, he is a busy IT professional balancing his life with his musical activities. He is Amit Diwadkar. Amit has collaborated with various Australian artists, among them, members of Cloud Kollective (A very popular Australian World Music Band). Tabla from Ustad AllarKhan Institute of Music. 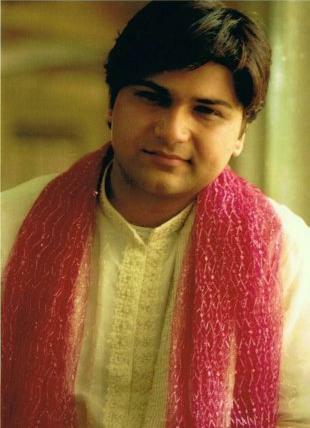 Vocal from Ustad Moin Khan. At the age of 21, he designed a Digital Music Recording Studio “SAMVAD” in Mumbai, India. This was an interesting phase in his career where he worked with various Bollywood personalities (singers and music arrangers including Sadhana Sargam, Monty Sharma and Milind Ingle to name a few) as a Music Director for Films and TV serials and many a times as a Sound Engineer for Music Albums. However, his core interest is to present Hindustani Classical music on the Piano and Keyboards. He has on several occasions presented Indian Classical Music on the Piano/ Keyboards in India, UK, Japan, Singapore and Australia. Samvad is a young, vibrant and exuberant group of music aficionados who look to share and grow musically. It’s all about enjoying music. Samvad, means communication in Sanskrit. At Samvad, it means communication with music, communication with your inner self, communication that transcends all conventional realms of musicality. Samvad was founded in 2002 by a young and talented musician by the name of Amit Diwadkar. With a natural flair for music and an exposure to the building blocks of Indian classical music at a very young age, Amit always wanted to go beyond the norm. Samvad thinks many are naturally gifted with the tendency to understand music but lack e.g, an Understanding of how to use all fingers, hands, arms, in the playing of an Instrument; How training in Indian Classical Vocals helps in singing Light vocals, ghazals,bhajans or even Bollywood music; How to condition your musical thinking to execute these with ease and control. At Samvad you learn and share, how to use the Keyboard, Harmonium, Vocals (Indian Classical, Ghazals), Tabla skills..!